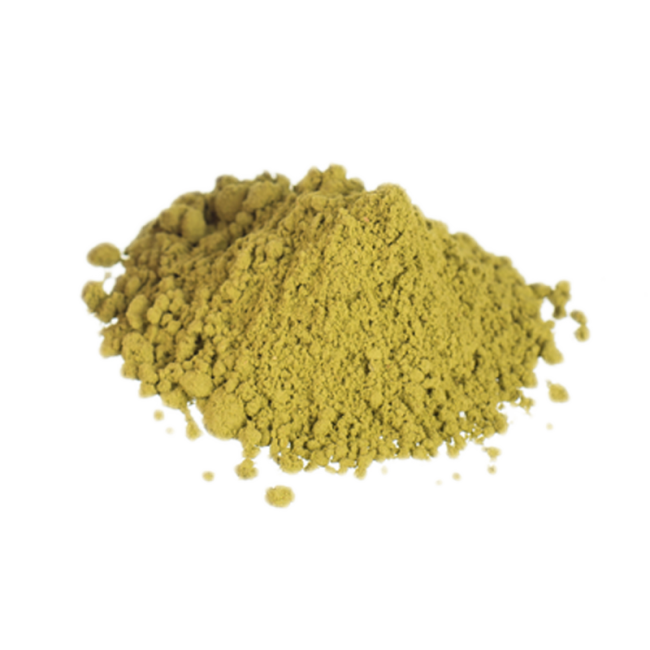 Damiana works as a relaxant for the muscles, improves blood circulation and works stimulating for the senses. It is considered an aphrodisiac for both men and women. 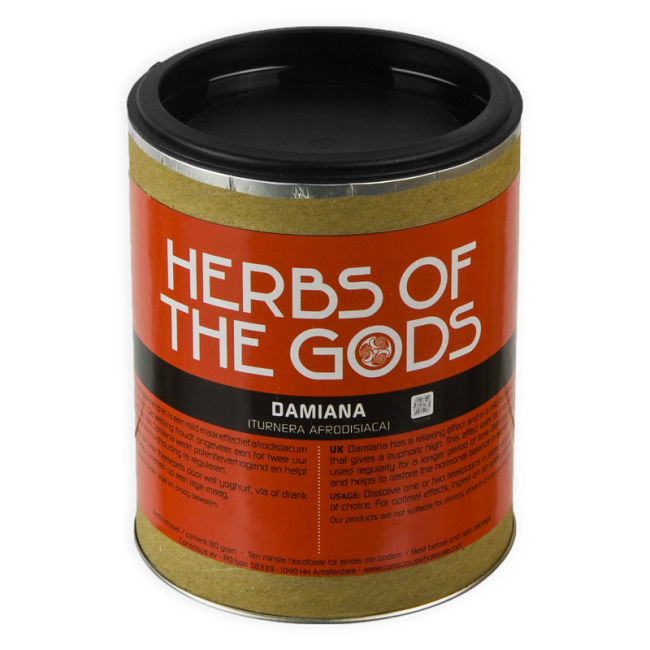 Contains 80 grams dried leaves and stems of the Damiana plant. In shredded or powderized form. Historically, the Diamana plant was used to reduce anxiety, mild depressions and nervousness. 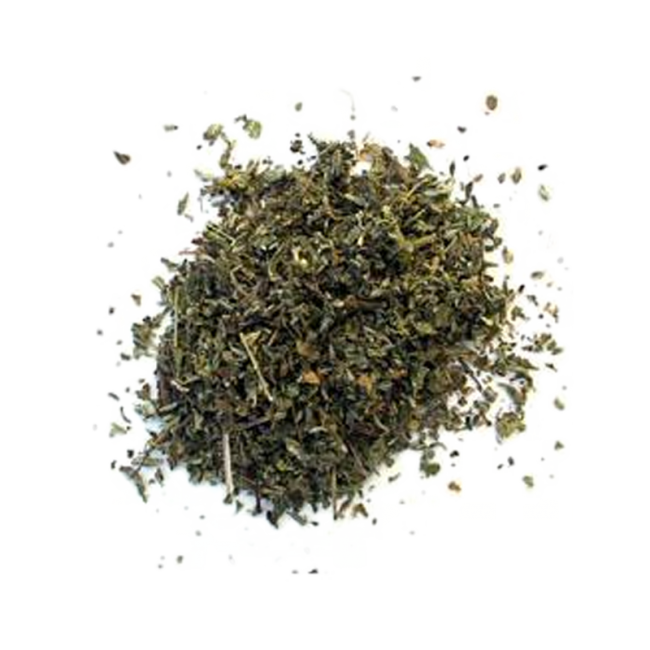 Consumption of the Turnera diffusa also improves digestion, solves constipations. Indigenous peoples drank a Diama tonic to improve their overall wellness. Nowadays, the plant has become famous for its stimuli for sexuality. It improves the blood circulation to the genital area, increases your energy level and restores the ability to have (intense) orgasms. Short term effects work because of the increasement of oxygen levels in the genital area, and long term effects are improvement of sexual fitness and enduring performance. Women can consume the herb to restore hormonal and emotional balance, for example to reduce the symptoms of PMS. Mix 3 teaspoons or 10-15 grams of Damiana powder with 1 liter of boiling water, and let it seep for 15 minutes. You can also mix 1 teaspoon of powder with a glass of fruit juice. Effects take about 45 minutes to kick in. Consumption of large doses can have a mild laxative effect. You can also smoke Damiana. Damiana or Turnera diffusa is part of the passion flower family Passifloraceae and originally grows in south Texas, Central and South America, Mexico and the Caribbean. The plant produces small and scented flowers. The plant is used to make traditional Mexican booze, and is sometimes used as an ingredient in the Margarita cocktail.